Asda launches gadget trade-in service | What Hi-Fi? Asda has launched an online trade-in service for secondhand gadgets and says it won't be beaten on price by Sainsbury's, Boots, Tesco, Envirofone and Mazuma. Under the Asda Tech Trade-in scheme, shoppers can get money back for old mobile phones, sat navs, MP3 players, digital cameras and handheld games consoles. Typical prices include £20 for a TomTom XL Classic Regional sat nav, £30 for a Sony Cybershot DSC S980 digital camera and £14 for a Blackberry 8300. From June, customers will also be able to trade in larger electronic goods such as laptops, tablets and full-size games consoles. Freepost Jiffy envelopes will be provided in Asda stores. 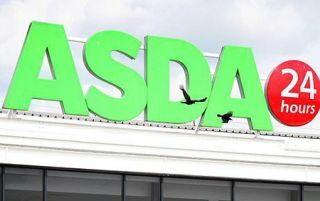 Asda says it will scan the trade-in prices offered by rival services at the time the item is entered on the Asda website. If the customer can prove that Asda's price is not the best offer within 24 hours, it will pay the difference. The company calculates there are 11 million unused digital cameras, nine million old PCs, 5.5 millilion junked laptops and more than a million redundant sat navs in UK homes. Their collective trade-in value is "several billion pounds".